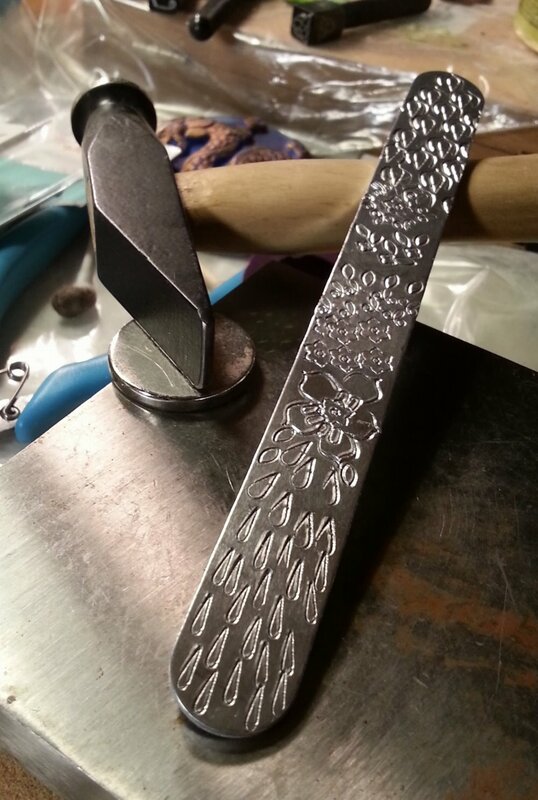 The Beadful Life @ BeadFX: First Look: Aluminum Stamping Blanks, Mandala multi-component stamps and the best stamping tip ever! First Look: Aluminum Stamping Blanks, Mandala multi-component stamps and the best stamping tip ever! 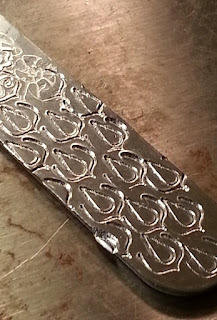 I have to admit - I was deeply, deeply skeptical about the idea of aluminum blanks for stamping on with metal. 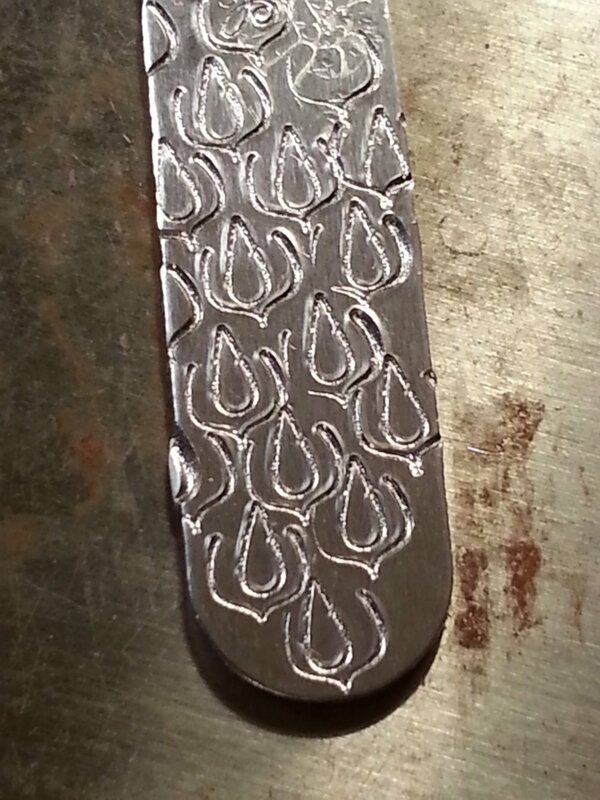 Aluminum can look singularly unlovely - IMHO - and I figured it would scratch like crazy. However - apparently I was wrong. 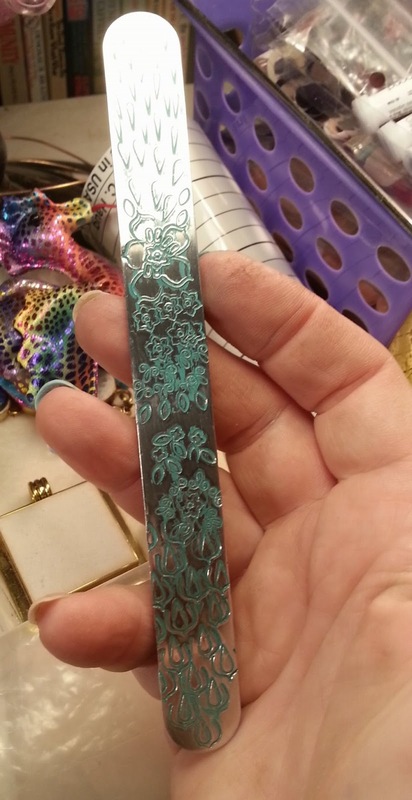 OK - first up - the hottest stamping tip of the century - and I discovered this rather serendipitously. I'm sure someone else has discovered it independently - but I found this out as a result of having an untidy workspace. So there, neat-freaks. 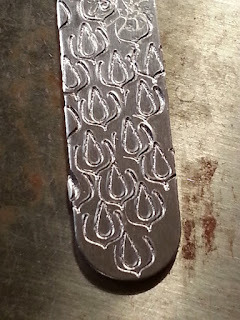 The recommended surface for stamping metal is a steel block sitting on a sandbag. Generally - mine is sitting under a desk lamp until I need it. To keep the lamp stable, I have a killer magnet sitting under the lamp - which has a steel base, apparently, as it sticks magnetically to the steel block, and all is good. 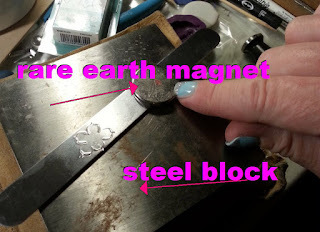 So I pull out my steel block and sandbag to try out the aluminum blanks, and the magnet is still there - and I have this brilliant idea to use the magnet to hold down the aluminum blank. 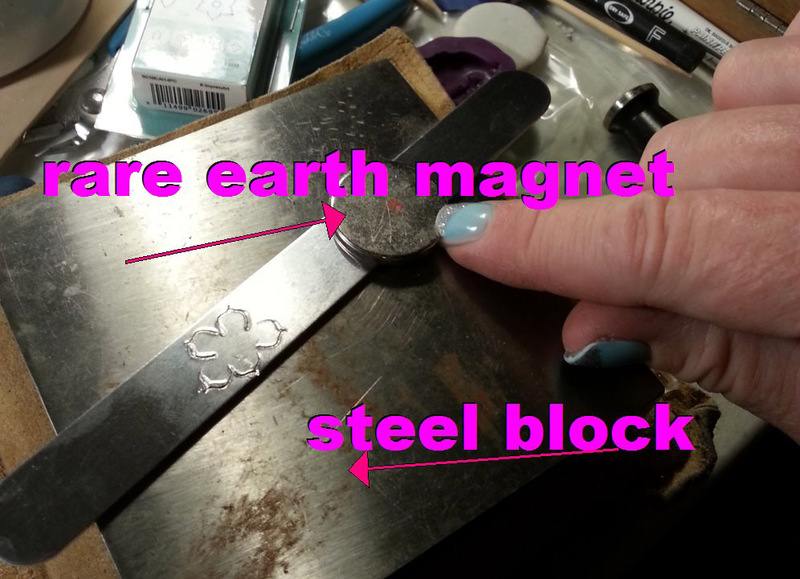 Aluminum is not magnetic, of course, but the magnet is strong enough to hold the blank in place by sticking to the steel through the aluminum. 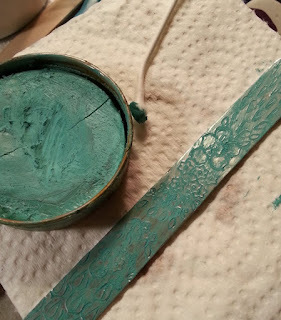 This means I have one hand for the stamp, and one for the hammer, and I don't have to spend any time or energy holding the metal blank in place. It holds everything so steady that I can even hit the stamp more than once and get a deeper impression. It's freaking awesome! 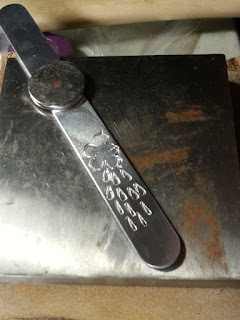 The only thing to watch is that the steel stamp will be attracted to the magnet, and so will the steel hammer - so use the magnet at the end you are not working on. 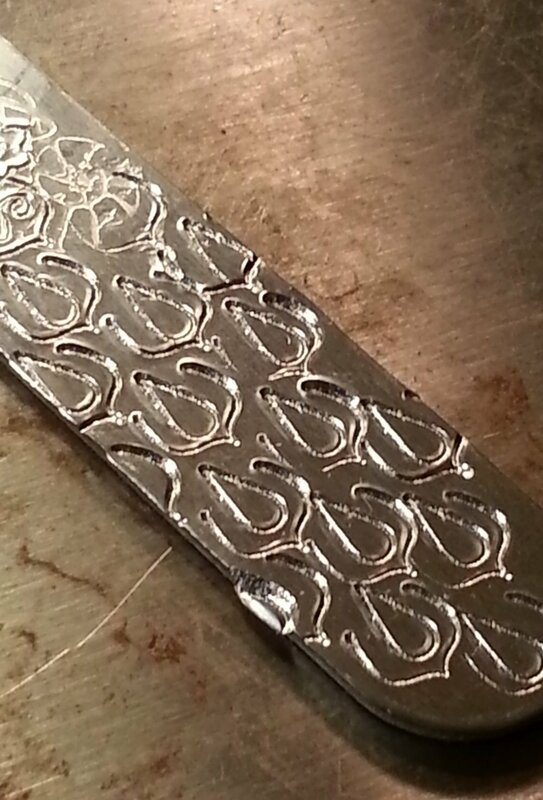 So anyway - I find that the aluminum blanks take really nice impressions. Even for a novice stamper like me. The other thing I was playing with was the new Mandala stamps from ImpressArt. These are a set of component stamps, instead of a single design - so you can make your own designs by stamping the elements in a pattern that pleases you! I find this so much more inspiring than the stamps with just one design on! Seems rather obvious to me now! 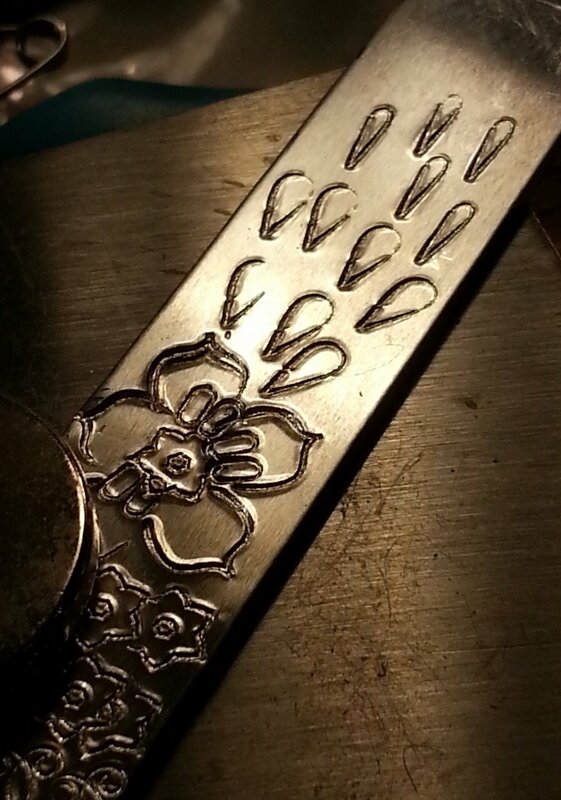 It was great fun, hammering away and adding to the design. Kind of hard to stop, actually. Pam tells me she got one of the aluminum blank bracelets during the summer - and it has not gotten scratched up at all - so that's another plus. So the verdict is - fun and easy. Mandala stamps for fun and creativity. Rare earth magnets for an extra set of hands that won't pull away at the last minute! 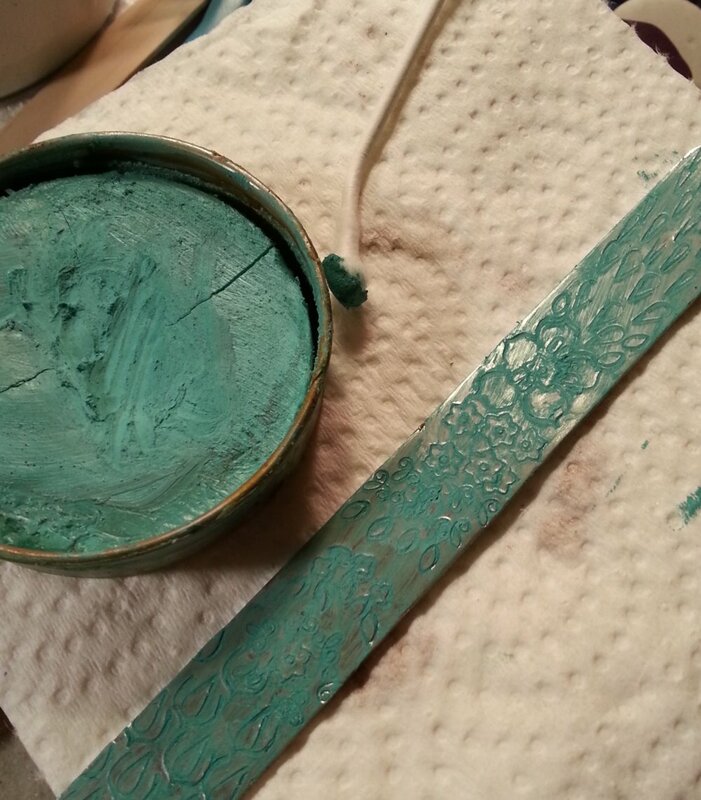 I decided to enhanced the design with some Gilders Paste - using my fave colour - Patina.